When it comes to games it all depends on the individual’s preference, but there are some games that can be addictive to any user. 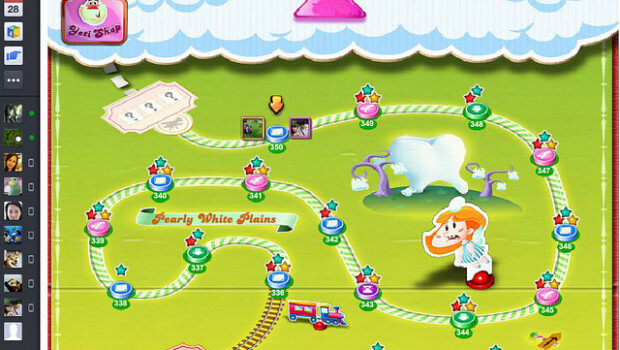 For over a year now Candy Crush Saga has been one of the top downloaded Android games, and for good reason. With what seems to be endless new levels and worlds to play, the game provides countless hours of entertainment. Having accumulated such a large fan base, Candy Crush Saga could quite easily change to being one of the top paid for games; however the fact that it is free to everyone is probably one of the most loved aspects of the Android game. Hay Day is a popular, casual game. Although it may not have a competitive aspect to it and is unlikely to entertain for hours at a time, long term it can provide constant ongoing enjoyment. It allows players to build up a world which can be continued at any time. As it is relatively new, it is unlikely to become a paid game until a bigger fan base has been accumulated, so it’s definitely worth downloading now and trying. Although relatively new, due to large amounts of advertising it has already built up quite a large fan base. This is a game that is definitely worth paying for. It mixes in both competitive and casual aspects of the best Android games. Although technically ‘free’ in order to really experience all the aspects that the game has to offer, it requires players to buy certain features in the game. Much like Candy Crush Saga, this addictive game is definitely worth playing. Made by the same company, it provides the same game platform with endless levels and worlds. It is based on another classic game with entertaining characters and stories. It would definitely worth buying, but the fact that it is free is one of the many aspects that have given it such a large fan base.